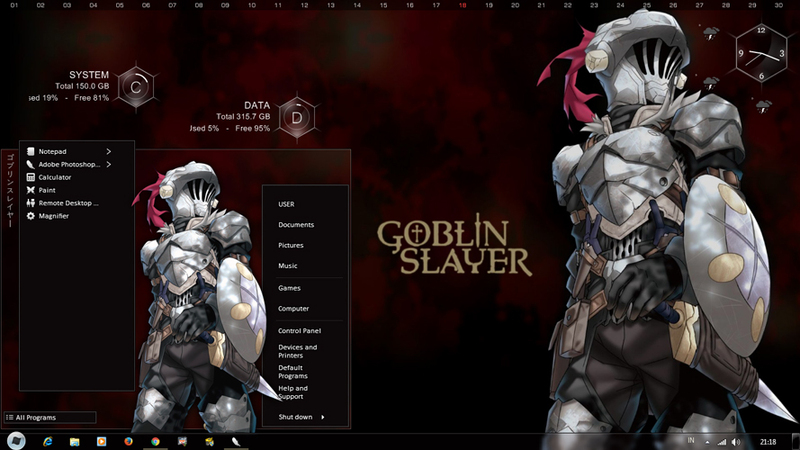 This theme is different from the Goblin Slayer windows 10 theme version. 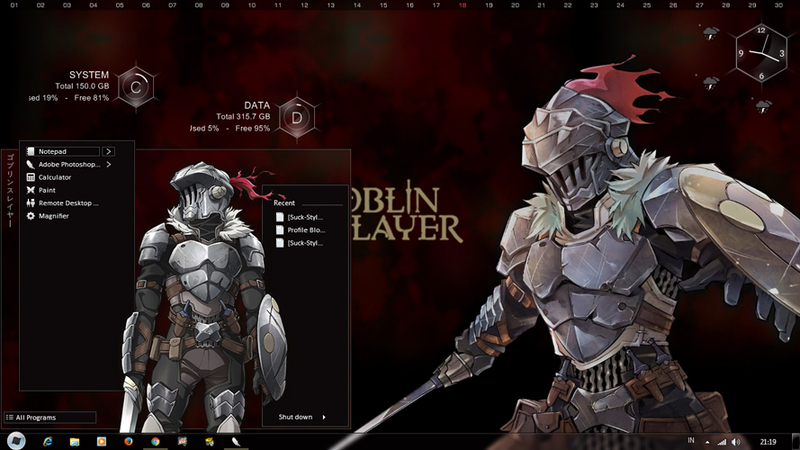 You could say I was redesigning the Goblin Slayer theme. What is different? The explorer view of this theme is also different from the previous two themes. Because I added an image to the address bar. 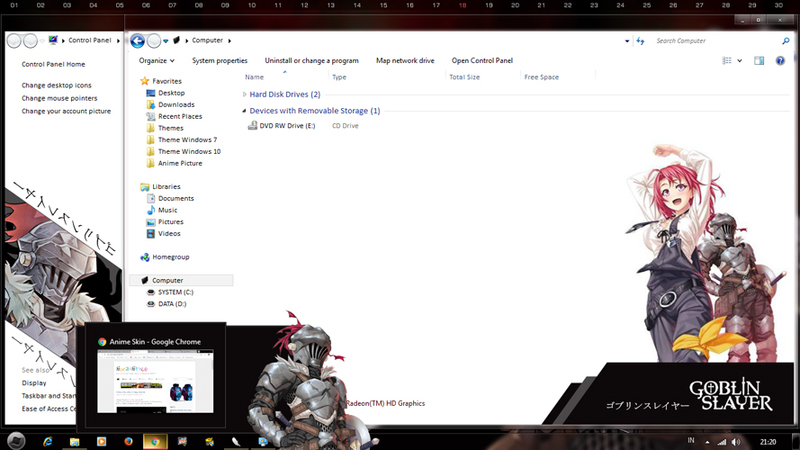 Making Windows Explorer looks very tight. 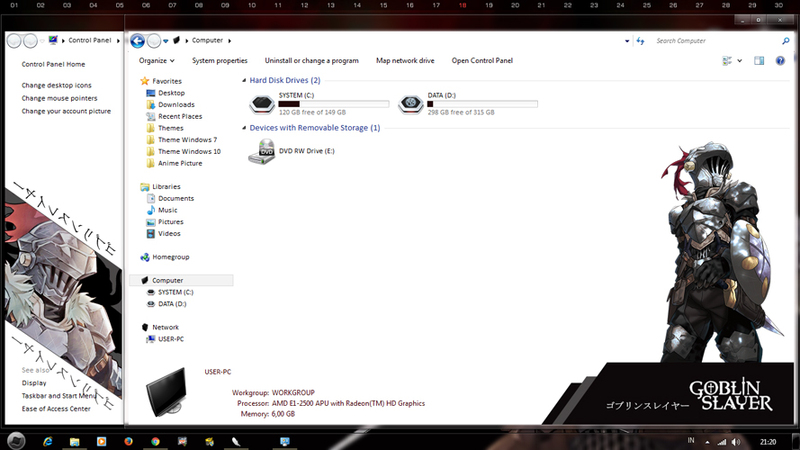 I made some fixed parts like the Windows 10 version. Then, that's all I can explain. Hope you guys like this theme. Thank you for visiting and downloading. Important! This theme is intended for advanced users only. 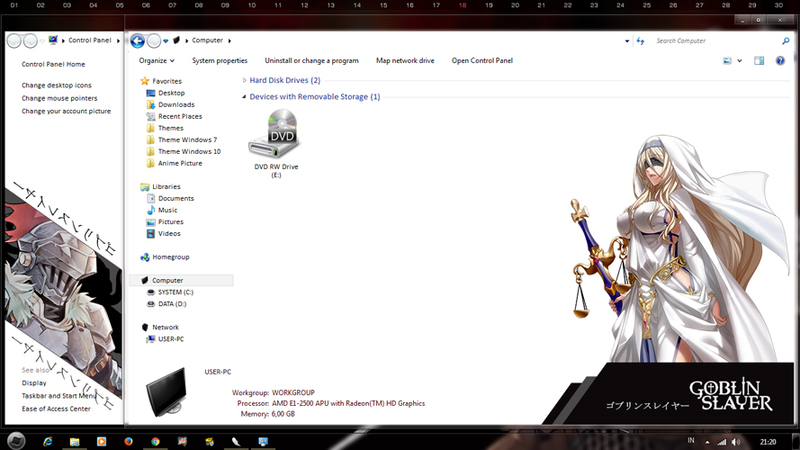 So, if this the first time for you, please read and follow the instruction on the Win 7 Tutorial. Do not waste your time to fix a problem that can be prevented.